With all of the current controversy over the admission of immigrants and refugees from the Middle East because of terrorists attacks both in Europe and the United States, it might be well to remember that most newcomers to the U.S. are not terrorists, but simply men and women looking for a better, safer life for themselves and their children. Many are Muslim of course, but others are Christians who were especially vulnerable because of their minority status in their homelands. 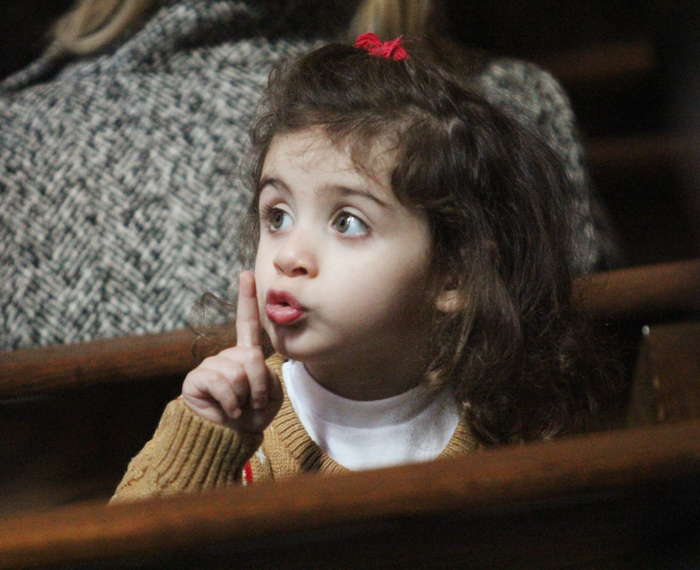 St. Maron Church in South Philadelphia happens to be the place of worship for many Christians who come from various countries in the Middle East. Many of them are of course Maronite Rite Catholics, an ancient rite centered in Lebanon and surrounding areas that has been in communion with the Holy See from its foundation. The Mass celebrated for them by Father Vincent Farhat is a blend of English and a form of Aramaic, the native tongue of Jesus himself. Other worshipers may be Roman Catholic, members of other Eastern Rites an even Orthodox, drawn to the little church by the Middle Eastern flavor of the rituals. A common denominator for the immigrants is a firsthand knowledge of the perils they have faced and perhaps a quite different perspective than that of native-born Americans. 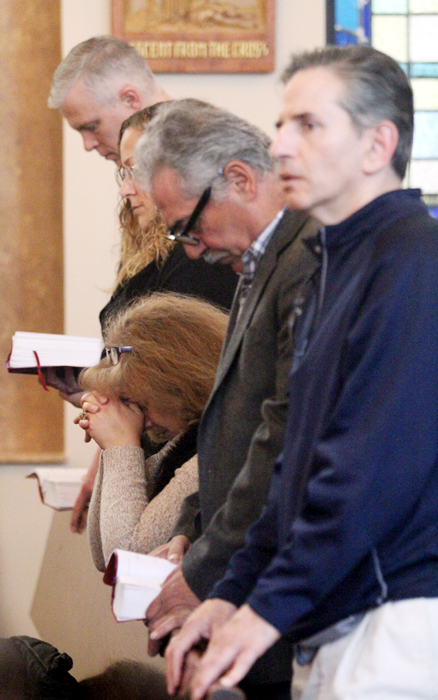 Some of them were willing to share their insights after Mass at St. Maron’s on Sunday, April 3, although in some cases hesitant to give their full names. “E,” who is Orthodox Syrian, was working in Saudi Arabia in the computer field as matters were going from bad to worse in his homeland and came to America last year with his wife and two children. His home village, mostly Syriac Christians, was overrun by militants in 2013 with a number of people killed and homes destroyed. Although the Syrian army recaptured the village it is still dangerous. “John,” who is a Maronite Catholic, has been in America for 30 years. He left after high school, at a time when the Lebanese Christians, Muslims and Druze were fighting. “If I didn’t come here most likely I would be dead,” he said. Basically he sees the Middle East conflicts as a struggle between the Sunnis and the Shia, with minorities such as the Christians caught in the middle. Philip, who is a Latin-rite Catholic, was born and raised in Lebanon although his parents were Palestinians from Bethlehem who fled after the 1948 war between the Palestinians and the Israelis. Now most of his family is in the United States, although one sister is in Dubai. “My grandmother has 52 grandchildren here,” he said. 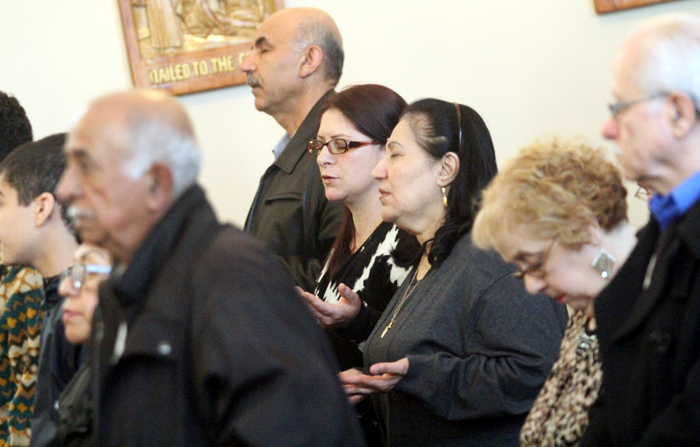 Vivian, Philip’s wife, is a Syriac Catholic from Iraq, and her family is scattered. Her view of the situation in Iraq is based mostly on her perception of Saddam Hussein and his treatment of Christians. “In my opinion, when we had Saddam in Iraq we were all at peace as Christians. Saddam was very kind to the Christians and when he died everything got worse,” she said. “His main bodyguard was Christian and the nanny for his kids was Christian. At Christmas and Easter he would go congratulate the bishops. He was one of the only ones to open the doors to Palestinian people when they had their war. “We used to sleep with the doors unlocked, both Christians and Muslims. Now you can’t,” she said. “Joe,” who is also from Iraq, came to America 20 years ago. “We did have family members killed,” he said. He came here as a high school graduate and is now a doctor and most of his family is in the United States. He now considers the United States his country, but still, if there was peace he would love to visit his old neighborhood. I have been praying for the Eastern churches and their people I have been to Greek Catholic Church. I felt to be in the presence of God. It counted for my Sunday worship but I went to a Roman Catholic service anyway.